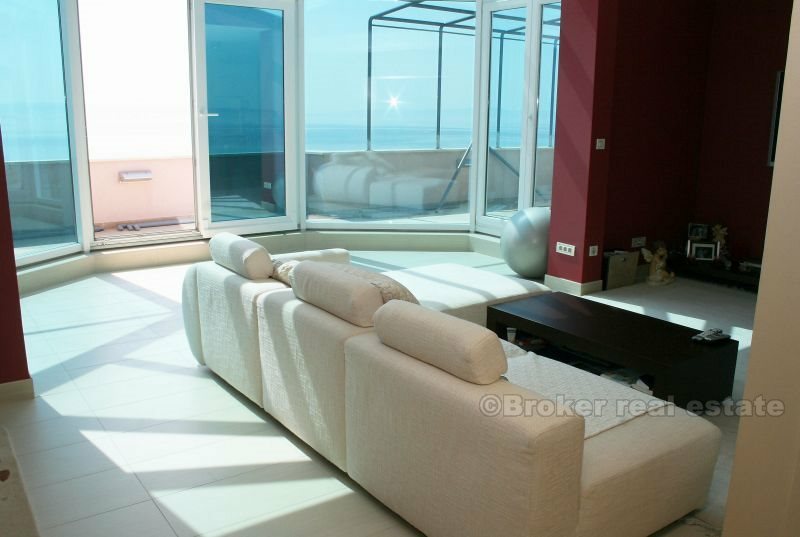 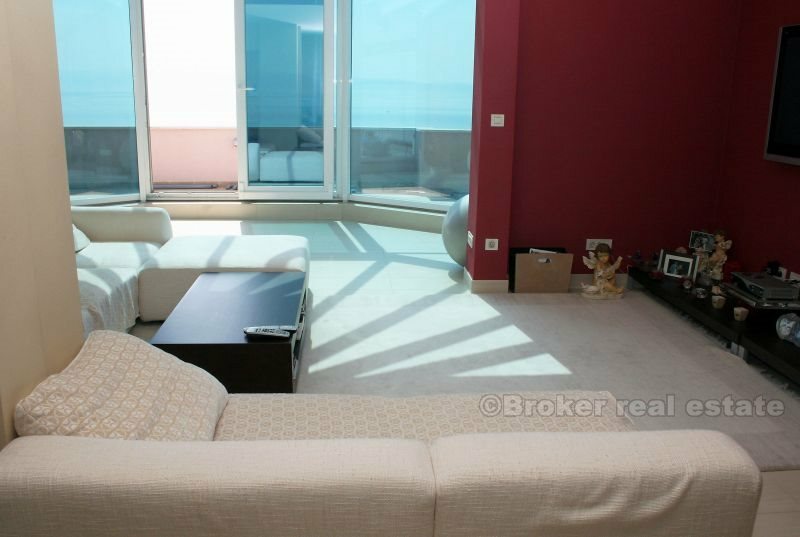 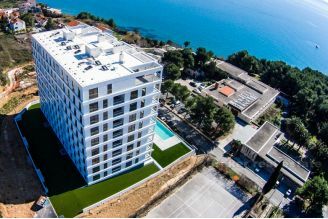 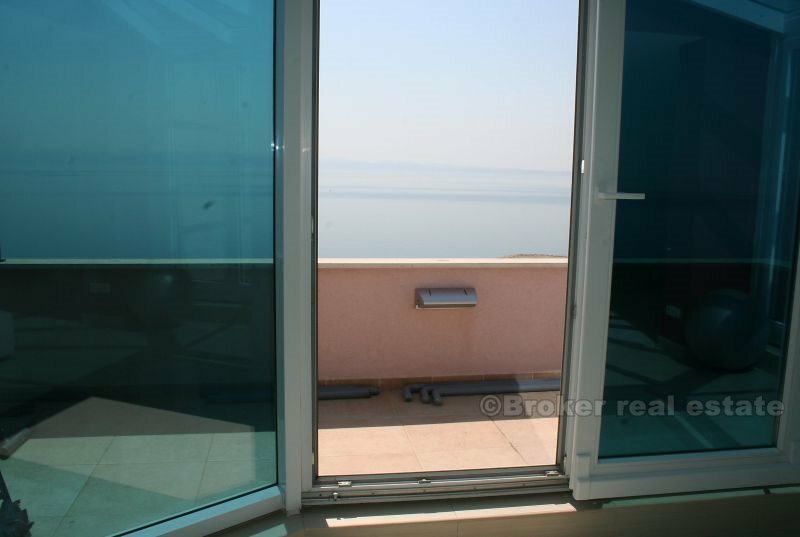 A beautiful penthouse apartment in a newly built building, in an exclusive location, with an open view of the sea, the islands and the beach! The apartment is of the surface of 195 sqm, with two roofed terraces of the surface of 30 sqm. 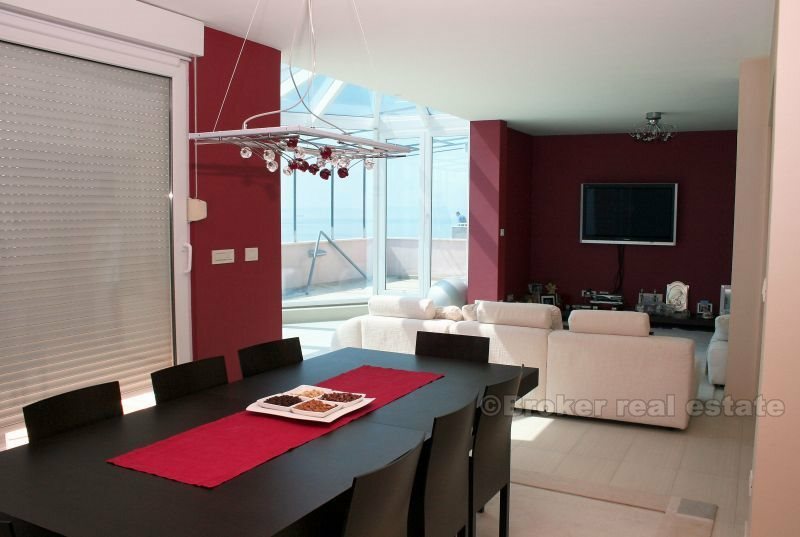 The apartment has its own private elevator leading directly to the living room entrance. 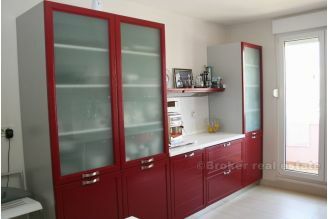 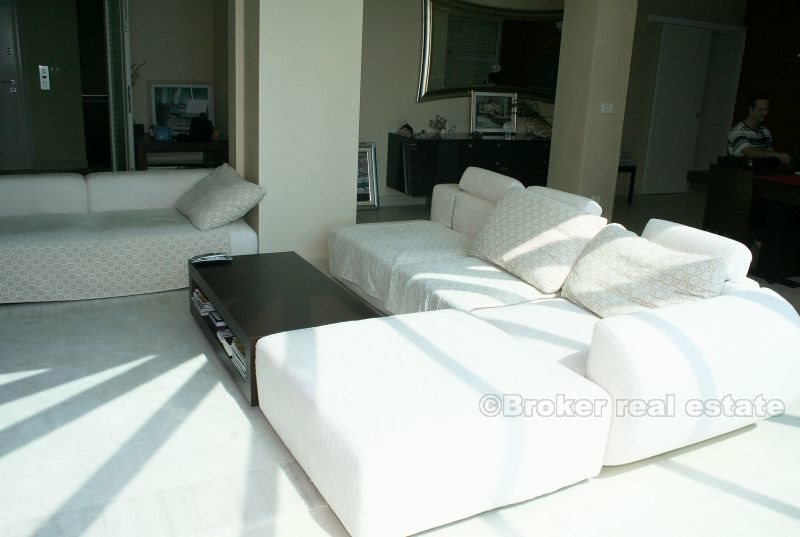 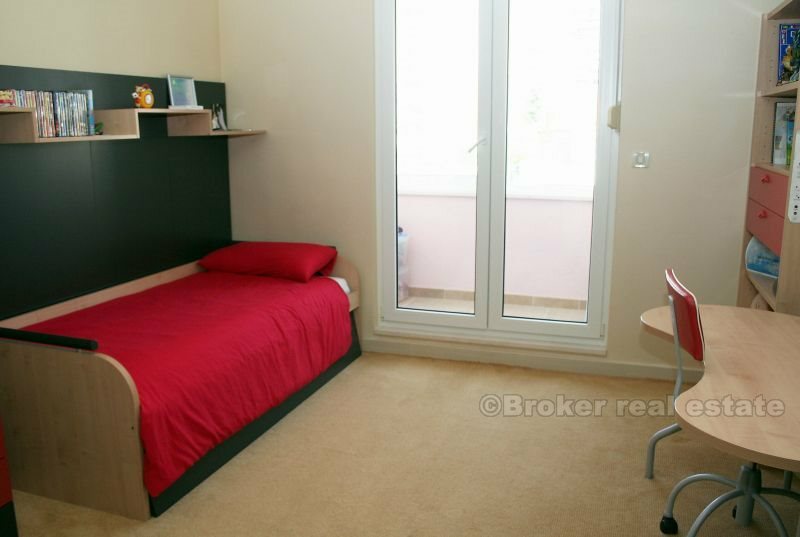 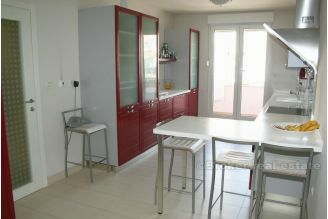 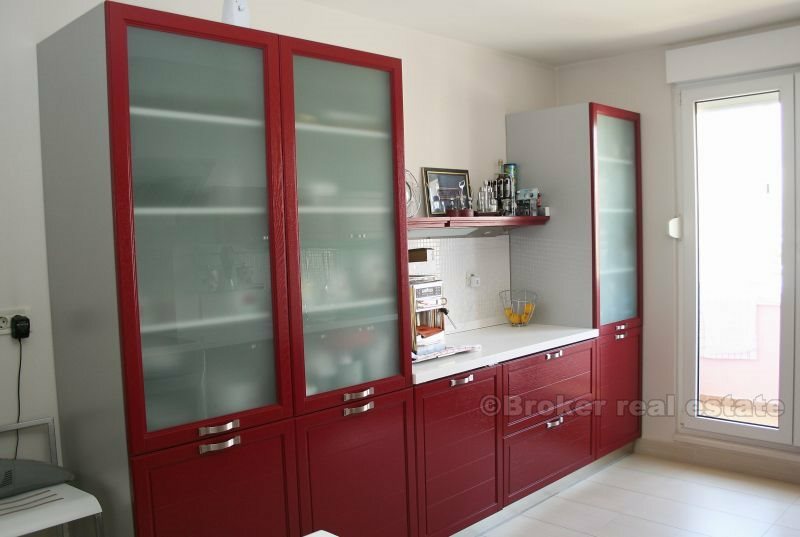 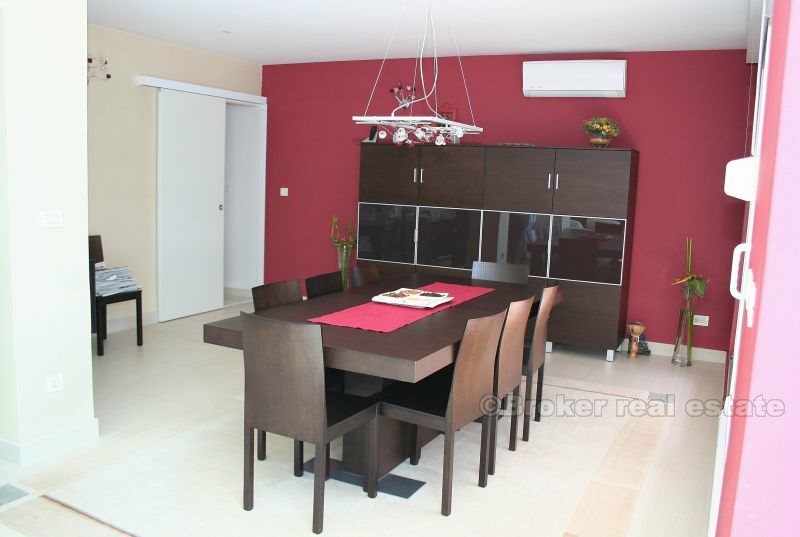 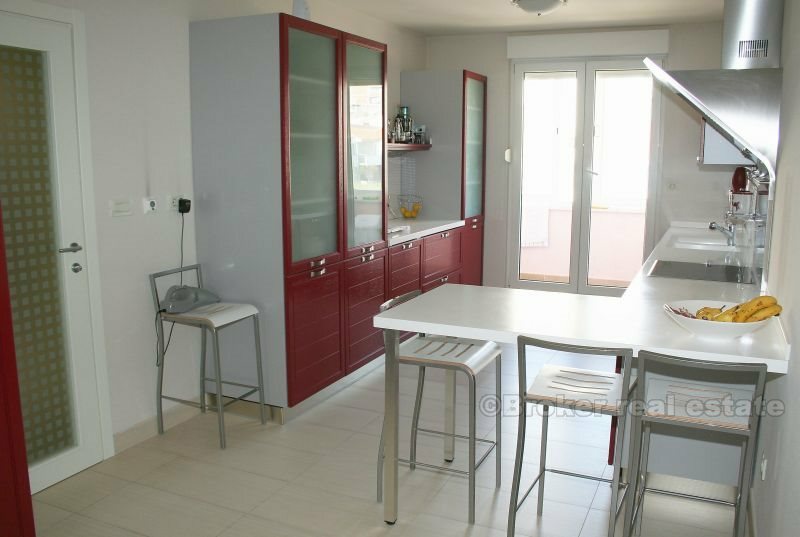 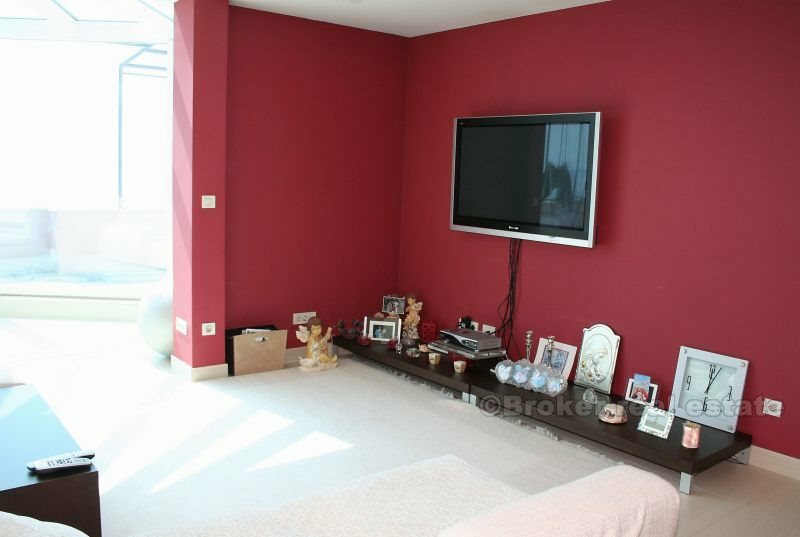 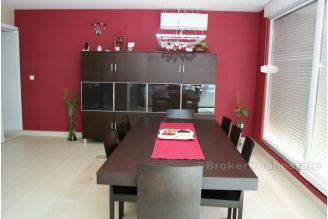 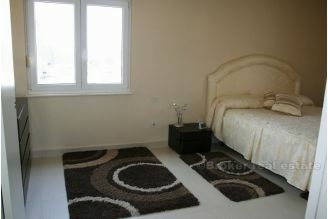 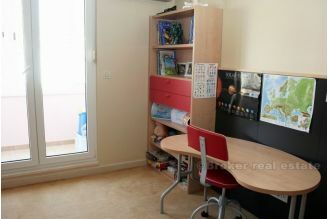 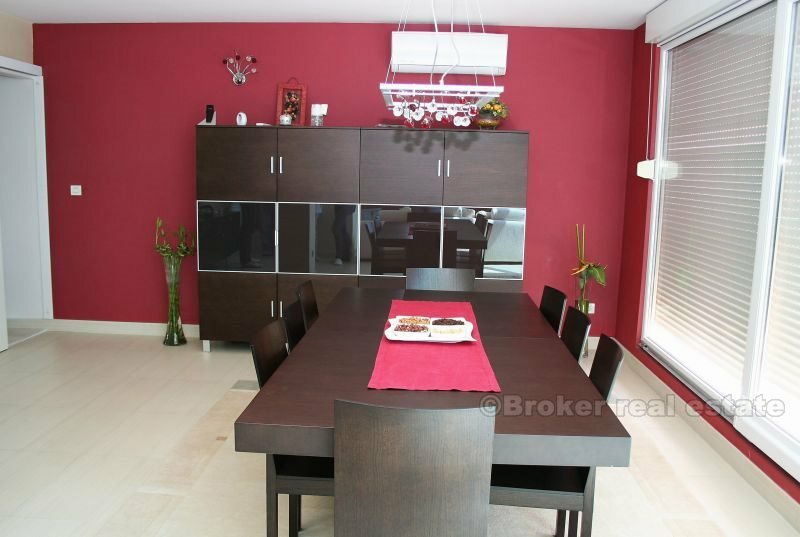 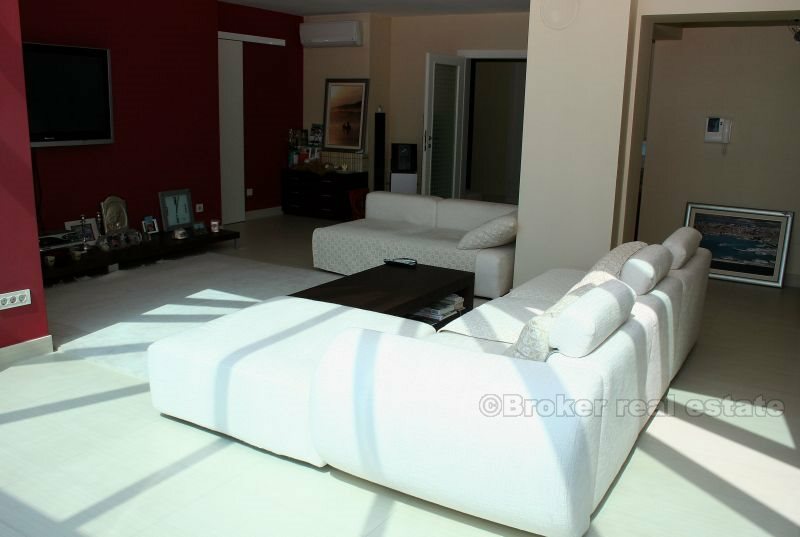 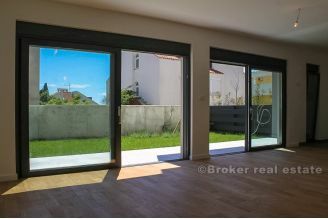 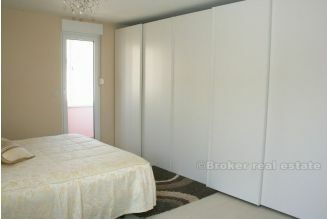 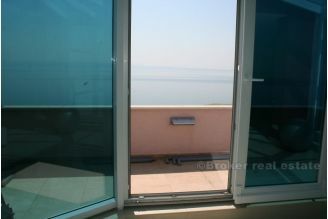 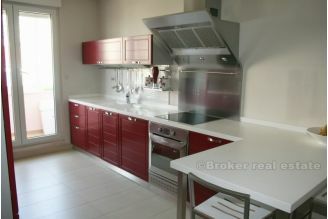 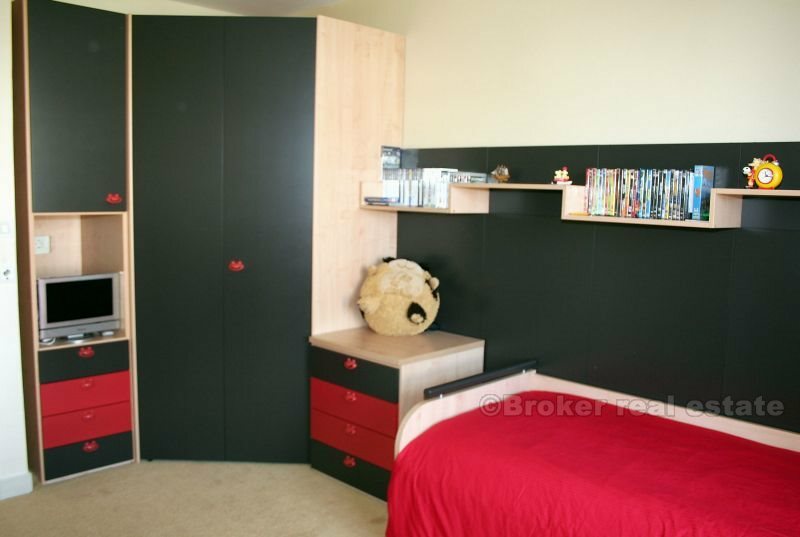 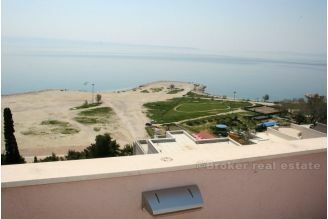 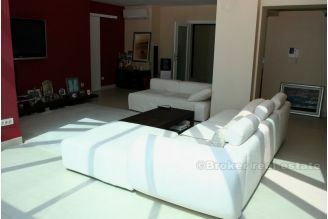 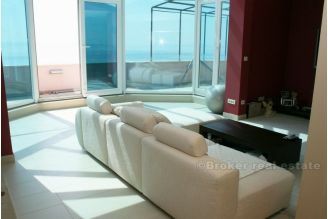 In addition, 2 garages situated on the ground floor belong to this apartment. 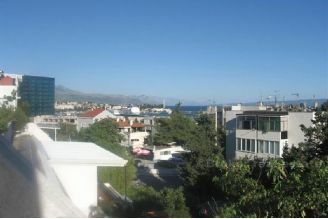 The beach is only 100 m away.